Hey there, this is SolutionHow and you are going to learn about the complete setup of Facebook Videos Monetization. How to check eligibility standards and enable them quickly. Ad breaks are short 10 seconds ads, you can include these ads on your copyright videos, facebook automatically place these ads between the videos after you can complete setup of your page. If you want to eligible your page for monetization your page must be 10,000 likes and followers, this is the initial requirements if your page has less than 10,000 likes then your page is not eligible for monetization. Your page must have 3 or more minute long videos. Facebook requires 30,000 views on minimum 1 minute watching time on 3-minute videos in last 60 days, If you have videos page and your page are fulfill on these requirements, so you are eligible to be facebook terms and conditions. 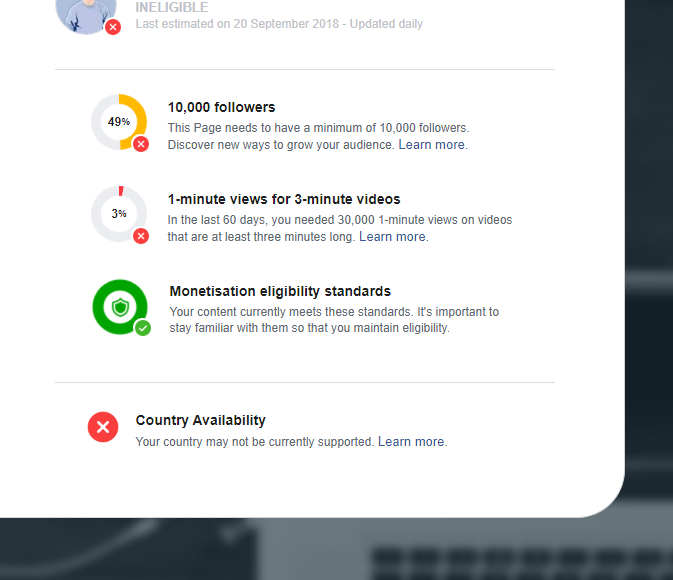 Facebook just announce videos monetization for publishers in some countries, if your country is eligible for videos monetization, in my case see the below image its red this mean country is not eligible for videos monetization, if this show you green signal, its mean you are eligible for videos monetization. 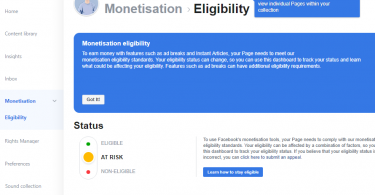 If you want to check your page eligibility go on Facebook Page Videos Monetization Check, this page helps you to find eligibility of the page, it is eligible or not for facebook videos monetization. If you have any issue about Facebook videos monetization, feel free give your feedback in the comment section.